As promised, HMD Global has finally launched their latest flagship smartphone Nokia 8 at an event in London. Let’s check out the quick specs sheet of the device. Nokia 8 comes with 5.3-inch Quad HD LCD display with a resolution of 2560×1440 pixels, 700 nits brightness and 554PPI pixel density. The device is made from a single block 6000 series aluminum. The display panel is protected by Corning Gorilla Glass 5. Nokia 8 features 13MP+13MP dual camera setup at the back with dual-tone Flash, ZEISS lens, OIS, f/2.0 aperture, PDAF, 1.12um pixel size. One of the lenses comes with RGB sensor while the other comes with the Monochrome sensor. The monochrome sensor is for low light and black and white photography. 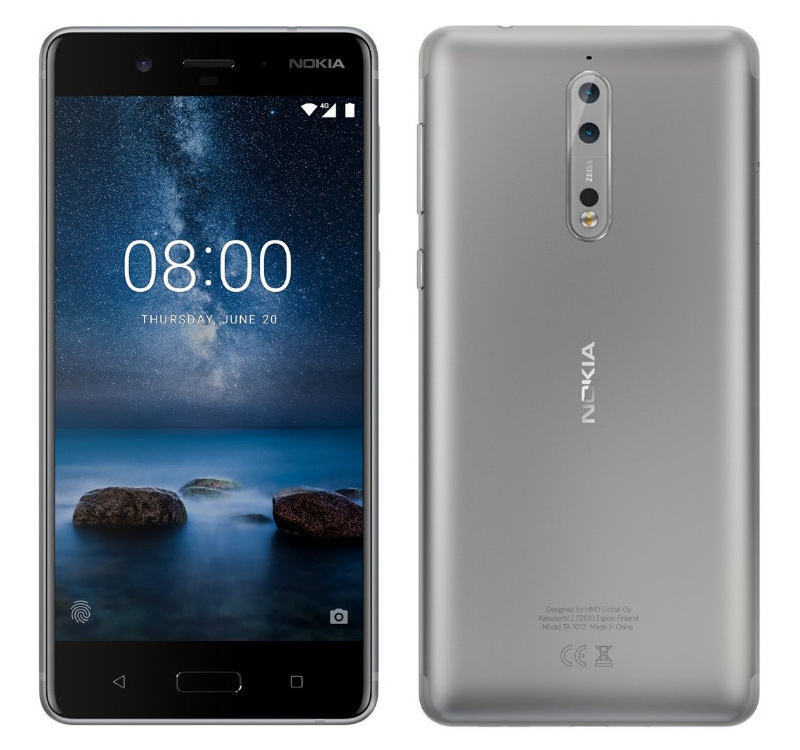 Nokia comes with Dual-Sight technology in this device where both front-facing camera and rear camera works at the same time and you can capture a picture or a video by merging both images or videos. Nokia uses OZO spatial 360-degree audio for the immersive audio experience. The audio quality which will be captured by this device can be matched with 4K videos quality. Nokia 8 pricing starts at 599 Euros ($700) and comes in Tempered Blue, Polished Blue, Steel and Polished Copper colors. The device will start shipping from September globally.